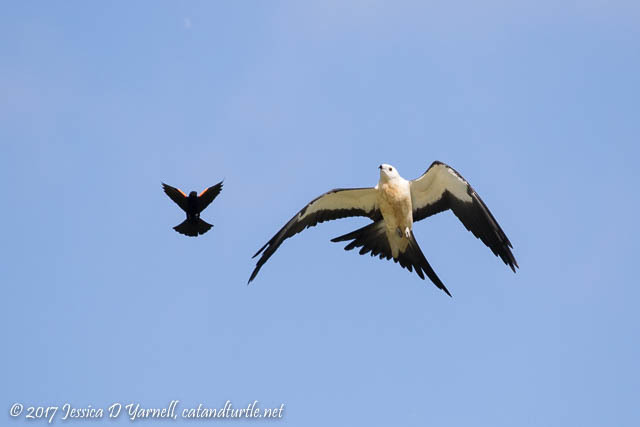 A few posts ago, I wrote about the Swallow-tailed Kites that have been visiting the Lake Apopka Wildlife Drive fields this summer. 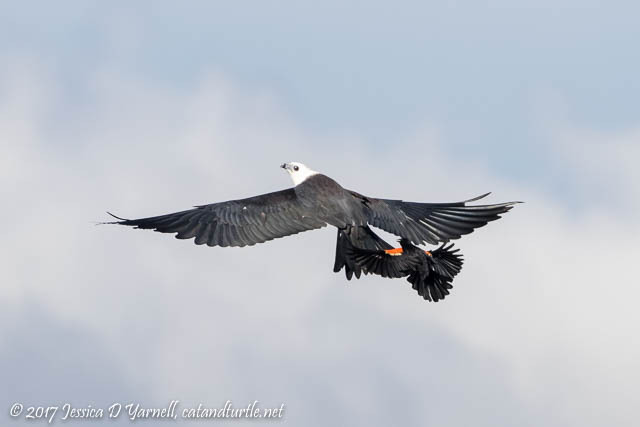 These graceful birds swoop through the air, feeding on insects. They don’t seem to interact much with the local birds or the fields below. So they didn’t seem to understand why the Red-winged Blackbirds began launching a full mid-air assault! 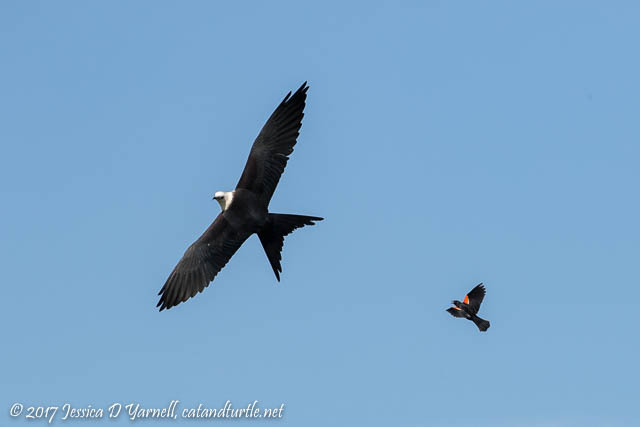 At first I thought the blackbirds were stealing bugs from the kites. But then I noticed that the Red-wings had a nest near where the kites were flying. So the males were defending their territory. The kites didn’t seem to understand. 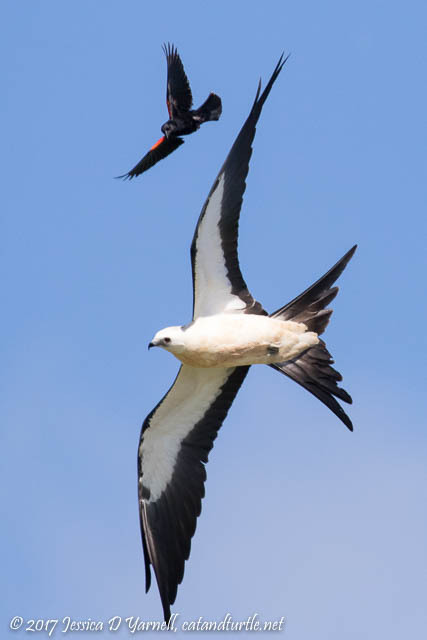 In the photo above, the kite looks over his shoulder to see the little bird attacking him. The Red-wings are such brave little guys. It takes a lot of courage to attack a bird so much bigger than yourself! Wow! You got some great keepers that day! It was a fun day! For everybody but the poor red-wings.